Social media such as blogging and Facebook allow us to make acquaintance -- and indeed, long distance friendships -- with crafters across the world. It's a pleasure getting to know these friends, and to share crafting techniques and a part of our lives. One group in which I participate is on Facebook and is called "Karle's Passion." (Hi, Karle, you little monkey!!) 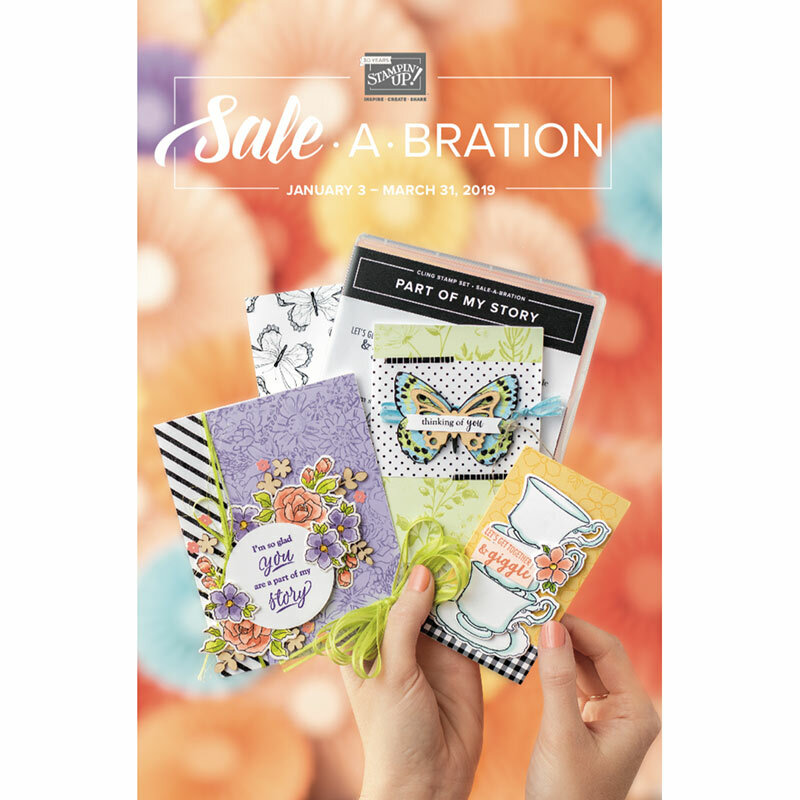 Through this group, we swap cut/embellished items monthly, and also have started swapping stamped images. 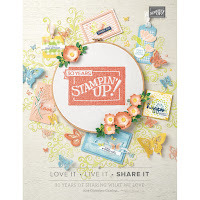 In fact, this month I am the host of the stamped images swap. The stamped images come on 4x4" cardstock stamped in black ink. I colored the cross using Copic markers (first), Prisma premier pencils with Gamsol, and then added Stickles. The lattice frame was cut with a die by Cheery Lynn Designs, and the embellishment for the tag is a Spellbinders die. The sentiment is an old wooden (unmarked) stamp in my stash, as is the ribbon. Unfortunately, as I age, I can never have enough sympathy cards and they are the hardest to make, I think. This will go in my stash for an appropriate occasion. 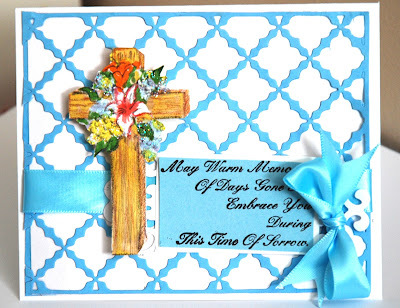 Thank you, JoGenna, for the stamped image of the cross! What a pretty card! I really like the colors you used.